April 19th, 2010 Official USCIS H1B visa Cap Count FY 2011 filing update & Analysis. Home » H1B Visa & Consulting » H1B Visa News » April 19th, 2010 Official USCIS H1B visa Cap Count FY 2011 filing update & Analysis. If you look at the numbers, they are not really encouraging, as I have mentioned in April 9th H1B cap count analysis, the guidelines of Employer-Employee memorandum i.e., new H1B visa 2011 quota rules and recession have put the brakes to the filing of visa petitions. Though there is a GDP growth in US and job scene slowly getting better, it is not catching up to the H1B holders because of the increased scrutiny by the USCIS for H1B petitions. Have a look at the Last year FY 2010 vs FY 2011 cap this year Graph, you will get a feel of what I am saying. hi i m swati .i hve done b.sc in chemistry n nw studying DMLT whch is lab techician course.i just wnt 2 knw that m i egilible 4 h1b visa n if i m wht is the procedure n application fee n wht else i hve 2 do.pls rply me soon…. You have done B.Sc which is 3 years of education. To be eligible for H-1, a person needs to have 4 years of college degree and at least 3 years of relevant work experience for each missing year of education. Do you have more than 3 years of work experience? I have got H1B reciept on May 17 ,2010 but till now its in initial review. This H1b is filed by my company, when i called the Vermont Immigration service they were asking my company to give a call. But my company is in no hurry to followup immigration office. Please suggest what shall i do? That’s doesn’t sound good. USCIS should have processed the petition by now. Unless your company decides to follow-up, there is nothing you can do but wait. Are you sure the company has filed the H-1 for you, and the receipt number you have is yours? issued a receipt notice for the H1-petition filed on your behalf. This is email came from my office. I there any such cases pending for more than 9 months? There are few postings on this blog about cases as old as August 2010, but I didn’t come across anyone waiting from May. Like I said, there is not much one can do unless company decides to follow-up or upgrade it to premium processing. While port of entry i was granted date till Apr-2012 on my H1 visa however i my H1B is valid till 2013. This is due to since my PP is getting expired in APR-2012 so i was being told by the officer that i need to extend my PP and then apply for extention. Can you please let me know the process if i can apply for PP renewal and extension from US and what are steps and complications could be, Since i am thinking earlier address on my PP is also now changed so could that be an issue or it will be simple PP renewal request. In case of supporting documents for adderess proof this need to be of US or India as i am on H1B and prior to that on L1. Place where i use to reside in India i have now left that place. In short i dont have any specific India address proof. What can be done in that case, I do have my driving license of old address however DL and address in passport differs. You need to submit proof of your US address. The address that you furnish will be stamped on to your passport. Indian address is no longer required for the renewal. Are you sure regarding that we dont need to specify Indian address and provide any supporting docs? Since i see two address columns in a renewal form 1) Address to be printed on a passport & 2) Other Address. I didn’t check the form, so if you say that Indian address is asked there then you must be right. Regarding the supporting documents, on the website the information seems to be related only to US address (one of the proof for address is PG&E bill, which being a US company indicates it’s being asked for US address). If you still have confusion, you can call them and ask them. Thanks Saurabh. Do you which number i can call for details? On the website, it seems they want people to send email for passport related general information. You can do that, and wait for their response to your question. I have my H1B visa interview schedule this month. I made a HDFC reciept of $ 150 however i also read somewhere mentioned additional reciprocacy fees. Do you have any idea apart from $150 am i suppose to pay any additional fees ? Second while leaving US i forgot to drop my I-94 of H1 COS in I-797 however i did dropped my L1-I94. Hope this should be fine and will not cause any issues while re-entering US on H1B. I don’t think you are required to pay any other fees. Additional reciprocacy fees are required when revalidating H-1B visa within US (a facility no longer available to Indians). I didn’t check the VFS site recently, but if it says $150 for DS-160 form, then that’s the only fees required. As for I-94, as long as you dropped one of those I-94 you should be fine. Both I-94s have the same number, and dropping at least one of them allows CBP to put an exit date against your record. I got my L1-> H1 with COS in US and came back to India before joining, While leaving from US i realized that i handed my I-94 (L1) and not of H1B in I-797. Now i am going for stamping and will be re-entering US on H1B first time. Do you see any problems with this ? It shouldn’t be a problem. I don’t know if you noticed or not, but when you apply for COS the new I-94 has the same number as previous I-94. They just change the expiration date and your status in US. As long as you drop at least one of them at the airport, you should be fine. 1) What documents from employer side is necessary which i must carry along with me? 2) Since i dont have any salary slips will that be ok? 3) What kind of interview questions i should expect ? 2. If you haven’t worked on H1, but had spent time in US on L1, then you should carry those L1 payslips to prove that you maintained legal status in US. 3. Typical questions range from you (qualifications) to employer (interview process, hiring process, employer size etc) to client (who is the client, how long is the project, what will be your duty etc). To mention here my H1 Sponsor is paying for my relocation from US location and i change my status from L1-> H1 (within US) however before joining i need to travel to India for a personal reasons. So what i should fill in this space? 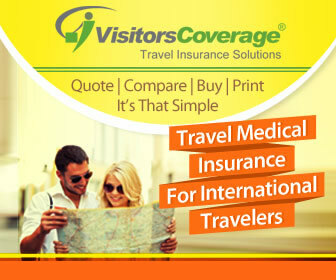 Legally, the employer is not required to pay for your travel expense from India to US. So I would assume a safer option would be to mention that it’s self-financed travel. My company told me my H1B has been approved (by letter to the company) from my OPT (OPT expired 2 Dec 2010). I am still in USA. 2. My old F1 visa expired. My old passport also expired. Do I need to send my passport to USCIS for stamping visa? Will the company give me the new labor certificate or use the same labor certificate while applying H1B? I did not get what you mean by “letter to the company “…Did your company apply for H1B visa this year ? Did you get confirmation from that that you got H1B visa petition approved ? You need to ask your employer if your H1 was approved along w/ COS (Change of Status) or w/o COS. If it was approved w/ COS, then you are on H1 status from the date mentioned in the 797 document. You don’t need any visa stamping as long as you are in US. However, you would need to get H1 stamped when you travel outside of US next, and then want to re-enter US. If it was approved w/o COS, then you need to get H1 visa stamped from your home country or from Canada/Mexico (you will have to check with the US consulates in these countries first) and then start working in US. Or you can file for COS and once approved, you can start to work in US on H1. case status: certified and a case number, what does this mean? also employment start date is 1/4 and I guess I wont be able to get there by then so is it ok if it approved later and I get there lets say 2 months later? can I check the case progress using case number? Your employer has sent you the receipt number for your H1 petition (I am assuming it’s H1 visa that has been filed). You can go to USCIS website, and enter your case# (it should start either w/ EAC or WAC) and see what the current status is. You can even create an account for yourself on the website, and add this receipt number, and subscribe for email updates. I don’t know when the petition was filed, but current wait period is 2-4 months. Once your petition is approved, you will have to go for visa stamping and only then can you travel to US. So if your petition was filed in last 1-2 months, I see little hope that everything will be done by 1/4. Also, 1/4 is usually tentative start date which your employer communicates to USCIS. You can always discuss w/ your employer and push out that date. If your employer is based in California, then he would have applied at CSC. Look for a number starting with WAC. If you can’t find that number, ask your employer about it. It is still ok to have a 2 month gap b/w employment start date and actual entry date in US. I doubt if any official will ask about it, but if asked you can tell them that the petition took time to get processed, and then you had some commitments at your current Indian job position that you needed to fulfill before leaving for US. I am currently on L1B and now i am promoted to a manager position in a same organization. Can L1B status upgrded to L1A or it requires a complete new process? I believe you can change status from L1B to L1A. Do make sure that you satisfy L1A requirements before going this route. 1) Can i work for my current employer on same L1 if i go back to India on 27th or before? 2) If i visit back to India will it be fresh L1 or same L1 which can be used? How long does the process usaully is? 3) If my current employer opts for transferring H1 of new comp then is it possible or can their be any issues? How long process will take. In this case i beleive i need to join the new employer till my succefull H1 transfer happens. Do you mean H1 gets approved on 27th Dec? No, My H1 is already approved on Dec-02nd however on it is valid from 27th mentioned on I797A. –If i leave US on 27th Dec or a day before and dont go for a H1 stamping in India can i re-enter on L1 Visa ? Any issues at port of entry? — Do i need to provide my I-94 details while departing from US on days as stated above or i should simply use my L1 I-94? If you leave earlier than 27th Dec, then you can re-enter on L1 visa, provided that visa stamp hasn’t expired. I doubt any questions will be asked about your H1 at PoE. They can still ask relevant questions for your L1. Both I-94s have same number. As long as you drop at least one of them at the airport, you should be fine. Some will say that you should drop both of them (they will serve no purpose as soon as you leave US). So you can do a copy for yourself and drop them both. So, If my current company agrees for H1 transfer, Can H1 be transferred immediately? How long transfer process will be and could their be any issue since i have not even started working for a new Organization? The current employer can start the H1 transfer now. H1 transfer is nothing but a new H1 petition that is not counted in the numerical cap. One needs to be able to prove that the person has been maintaining legal status in US, and will be able to maintain going forward. In your case, you have approved petition, and so you don’t need to be counted in quota again. Your current status is L1, and that’s what you need to prove using your L1 payslips. If the H1 transfer is initiated after 27th, then your legal status becomes H1, and you need to show H1 payslips. My L1 visa stamping is till end of next year. You feel their will be any questions asked regarding why i initiated my COS on L1 -> H1 and re-entering on L1. Yes, your H1 wouldn’t start if you leave US prior to it’s start date. I doubt if any serious questions will be raised because of this, as long as you are maintaining valid L1 status. Thanks !!! How long usually it takes for an H1 transfer ? Againg is their premium processing for that? H1 transfer would take anywhere b/w 2-3 months. Actual processing times may vary depending upon when it filed and where it is filed. Yes, Premium processing is an option for H1 transfer as well. I applied H1B Visa in Nov 2010. If I get approval in Jan 2010 then it is possible to travel in Feb 2010. Please advise me. If you get a interview slot in Jan or Feb, then yes you can travel to US in Feb 2011. Hi, I have submitted my Petition in July 2010 and have recieved the reciept number on Aug 3 rd… have checked the USCIS website my case is still in Intial Review. can you please let me know how long its going to adjudicate my Case ?? There is a considerable delay these days. My best guess is that it may take anywhere from 2-3 to 4-5 months. Hi , My husband applied for H1B Vissa. He got receipt number. But still we didn’t receive mail regarding confirmation of Vissa. Any one can help me why still we didn’t recieve the status. All communication from USCIS is sent to the employer or his attorney and not to the beneficiary i.e. your husband. You should sign-up on USCIS website to receive updates for the petition #. Once it gets approved, USCIS will send the issued 797 to the employer, who can then send you the copy for stamping. My husband he filed his documents on may 2010 thro his employers but still he didint get the receipt number only.so v cannot track also.what we can do?many people are telling that without getting receipt number also u ll get approval.pls tell me is it so? Yes We checked with employee, and got the receipt number, USCIS received the doc on June 01, but staus is showing ‘Initial Review’ only. We are worrying on this. I have got the Petetion receipt on july16th for regular H1b, still online status is Initial Review only. whether we will get approval or not i am much worried now or simply they ignore our application. Can somebody through light why this year UCSIS is taking too much of time and how long it can take. Jayachandra, There have been so much delay this year for some reason and USICS recently updated that they are working with extra people to get it going. Do not worry too much…you should be fine…Just be patient ! Thanks for the reply. meanwhile i have one doubt. this November 15th i have been schedled to Dublin for a 2 months, if i got the H1b apprval in the mean time do i have to schedule my interview(USICS) immediately, because i am coming back to india on december end only. No, there is no such requirement. You can do it when your employer wants you to come . I heard typically the status would be known by before october and one can go for stamping from october onwards. My H1B has applied and filled on August 25th. its still in ‘Initial Review’. When they will approve and from which dates onwards we can travel. How long it will to approve, since its showing Intial review for last 2 months. My H1-B filing is done in June,2010 and got the receipt number. In the USCIS website status shows as “Initial Review”. Its more than 3 months now. Can anyone tell me usually how long it takes to get the approval? Bindu, It can take anywhere from 2 to 6 months. I applied for H1B on April first week and got the receipt number after 20-25 days. My H1B application is approved on the last week of June as stated in USCIS website. How long will it take to receive the H1B package after approval? Karthik, USCIS should have sent your employer H1B approval notice within a week or 10 days. Check with your employer. Thanks for you reply. I enquired the consultant about this but they say that they have not received it till now(Its more than a month now since it got approved). Also, when I asked them for the scanned copy of the Application Receipt, they say that As per their company’s policy, they give onlythe number but not the scanned copy of the application. Please advise. Small correction.. As per their company’s policy, they give onlythe number but not the scanned copy of application receipt(with the receipt number). Please advise. I sense some snake oil Karthick. If USCIS status says it is approved on site, they say you should get in a week or 10 days otherwise you have to contact them. Ask them for a copy of your receipt notice to confirm if it was on your name or not. I think they are trying to manipulate you. But, they say that they have not yet received my H1B Approved package yet and also a couple of applicants’ Approval package too(which i don believe as not only you but also I saw in many sites that it wouldn’t take more than 10 days after approval). Now, I asked them for a scanned copy of my application receipt. Fr which they say that – receipt copy is only for employer reference and official records, which we never share with any consultants. In this case, Is there any way to find out whether the receipt number given by them to me is only MINE? Or is there any USCIS obligatory law to send a scanned copy of the application notice to the Applicant? Please help me in this situation. Thank you in advance. Nope, there is no other way. You need the scan copy of your receipt. My employer has file H1b for me, I have also received the application receipt number. I want to know the dependent visa processing. I am a married person, I will have to apply the dependent visa for my family. I believe the dependent visa processing will start once the my h1b gets approved. Please comment on this. did u get approval for ur petition? No, not yet. the uscis website is still showing “Initial Review” status. Waiting for approval…. My employer filed for the H1B. But till now no information about the filing receipt. Who will receive the receipt from USCIS, employer or employee or Attorney. Please let me know the response and thanks for the reply in advance. Your H1B receipt Number will be mailed to your Immigration Attorney. I am looking for H1b sponsorship. I have 3 years experience in .Net Technology. Please let me know if any company in India or in US do H1b sponsorship. Please do help. Hi, My company has applied for H1B this year. I haven’t received any updates on receipt notice till date. On checking with my Immigration team i got the following reply “Since our company is a BEP company so we most of the time receive approvals notice directly and not the receipt notice.” Is it true for BEP company? Also how long will it take this time to get the approval notice considering less no of petitions? Hello. Where will we get the reciept from? Should we check with our employer or will USCIS contact us directly to communicate our reciept number? Also, when will we have Visa interview in case all our documentation is in place. Your employer gets the receipt and they get it from USCIS. Once your visa is approved, typically people schedule visa interview in the last 3 months before H1B start date. I’m working in IBM and has an exp of 2yrs 8 mnths.IBM has filed H1B for me.The problem is that B.Tech is in Electrical and electronics engineering.I heard education was one of the criteria for H1.But they also consider work exp for non-computers people working in SW industry.My paper work and everythign is legal and filed by experts.What are my chances of getting H1..is my work exp sufficient..Does anybosy know getting H1 with profile similar to mine..? ?Pls help me with information..
You will be fine. Do not worry. Not everyone who comes from IBM are computer Science Majors. The lawyers know how to file and highlight your skills. The above News suggests that there will not be any lottery for 2011 H1B’s.. Hence if any 1 applies for H1, he should most probably get it !!! Can any one let me know on this. Thanks !! Yes, there is no lottery. If your H1B petitions is filed by a good employer and is properly documented, you should not have any problem getting H1B visa approval notice. My employer is a MNC, it has got its brand name and very well known. But, what if the documentation is not done properly. Also, by when we can expect the approval notice…Thx again !! I have received the receipt. The application was filed april 8th and the notice date is April 14th. Good Luck !! Hello. I applied for H1 B on the 1st of april. I still have not got a reciept.any of u out there who have recieved a reciept? and, of course, any one who has not recieved one till now!!! yes i got it even i applied my h1b on the 1st of April and i got receipt on April 20th. h1b for me. Any idea by what time the USCIS generally generates the receipts for all applicant? BK, I do not think they have specified dates for all applicants unless you process as Premium processing. If you do Premium Processing, they have to respond within 15 days. You should check the processing times on USCIS site, it lists the approximate processing time for a particular center.